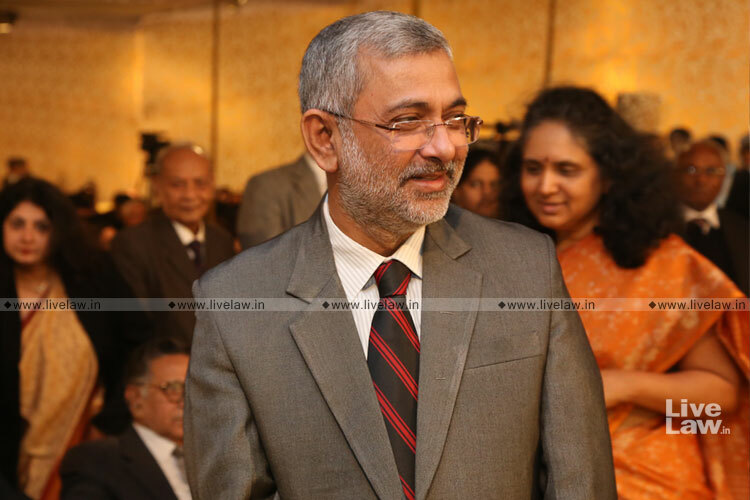 Speaking at a public event at New Delhi on December 7 organised by The LeafLet , former Supreme Court judge Justice Kurian Joseph said that improved dialogue between the Chief Justice of India and Centre could have fast tracked judicial appointments. “As a system, and it is not a perfect system, when a name is recommended, the decision is taken with the help of available inputs, and the government has only two options- if they have any adverse inputs against a candidate, they have to send it back, or they have to clear the name. They can’t sit on it. In fact, I had written a letter to the CJI that he should take appropriate action (in the face of the government acting on the recommendations belatedly and holding up appointments, most conspicuously in Justice K. M. Joseph’s instance). May be on account of the improved dialogue between the head of the executive and the head of the judiciary, things have been fast tracked. Even in the High Courts, appointments have been fast tracked. This maybe because now there is no communication gap”, the former judge explained. When quizzed about why one of the judges recently sworn in, who hails from the Patna High Court, called the PM a “hero” and a “great man”, Justice Joseph replied that that was the judge’s personal perception. Justice Joseph was also in favour of “regular dialogue” with the Executive on matters of infrastructure and delays in appointments, which continue to be in the hands of the government. “As the Chief Justice of a High Court, I have done this”, he added. “I went out on my conviction. There was a perception that the judiciary, and not particularly the Supreme Court and not particularly the captain, was not functioning independently. And this perception was not just our own but also of some other judges. A similar view was expressed by the media too.We went and told the Chief Justice that it should change. Since there were no signs of change, we put it in writing. Driven against wall, seeing no result, we thought of telling the nation and discharge our debt to the nation...the history must not accuse us of not telling the civil society...like when Thomas (Justice Joseph's grandson) becomes an adult, he should not ask me what I did (to remedy the situation). On Finance Minister Arun Jaitley’s statement that if a retired Supreme Court judge attaches a motive to a former CJI’s actions, he must place the evidentiary material in public domain, and if the needful is not done, it would be deemed that no material exists. Stating that he has not seen the statement, Justice Joseph asserted, "All perceptions do not need to be based on some material". Further, “the material is not an anecdote. One such instance which was seen and discussed in public was the selective allocation of cases among benches...those who have the material should present it before the public”. “That is a hypothetical question...It all depends on what decision a judge would have taken based on the arguments addressed before him and after considering the constitutional position of the issue...That would all depend on what call the judge would have taken based on the evidence and the materials and the arguments. Unless the judge sees it, I can’t say”, replied the former judge. “Whenever a new Chief Justice comes, it is the convention that the President and the Prime Minister throw a dinner at the Rashtrapati Bhawan and the PM house respectively. It is not just for the CJ, but all of us participate...For the Constitutional Day celebrations, it was the suggestion of the CJI that we have a common celebration, instead of separate ones by the government and the apex court. So, accordingly, there was one at the Vigyan Bhawan during the day and then in the evening at the Supreme Court premises (by the SCBA). After the evening celebration, the PM was invited for dinner as he was not available the next day. He interacted with all of us. He was invited by the CJ along with the dignitaries of the courts of the neighbouring countries...We all went to Court 1 together, we were together all the time...It is not like the CJ and the PM retired to the chambers privately and were discussing something secretly. The other dignitaries have not seen our Supreme Court and they wanted to see it. There is no point in only inviting them and not asking the PM. We were all sitting together on one table and all of us were invited; it was Not an invitation personally to the PM. The Vice-President had left early so he could not be there, but All of us senior judges were”, narrated Justice Joseph. Justice Joseph pointed out that the MoP needs to finalised and hoped that the improved dialogue between the apex court and the government would help in the same. Also, he noted there continues to be No secretariat in the Supreme Court or the High Courts on the Matters of selection and recommendation for appointment of judges. He was of the opinion that it would aid the Collegium to be in a better position to assess the need and verify the credentials of the candidates. He credited former Chief Justice Dipak Misra for having brought about this improvement in publishing the Collegium resolutions, despite there having been no specific demand for it by the other judges in their letters to him. “You want the retired judges to man certain positions. So why not increase age of retirement for all judges, from the Civil Judge, Junior Division to the Supreme Court? Raise it to 70 or 75. If they can man the Human Rights Commission, why can they not continue as a judge? I think they would have had even more experience and exposure with time...And make this post interchangeable where you can place even a sitting judge as the Lokpal or the NHRC Chairman”, weighed in Justice Joseph. “I do not say in my triple talaq judgment that what is not permissible in theology cannot be accepted in law. That would be dangerous. I did say that what is not permitted in the Quran cannot be allowed because the Quran is a part of the Shariat and the Shariat is regarded as the personal law. So the practice of the Quran is the practice of the Shariat law”, he clarified. “I was asked for my personal view. There was no question of my view as a judge or how I read the decisions. If I was asked that, I would say that The constitutional guarantees of dignity, liberty and equality have to be protected”, remarked the judge. Justice Joseph clarified that his observation that the Supreme Court must not act as the trial court was not in context of the controversial Loya case. He elaborated that the Supreme Court is meant to exercise original and appellate jurisdictions, and should not act as trial court barring the situations of interstate water dispute etc as contemplated in the Constitution. The conversation was concluded on a humorous note with Justice Joseph being asked if he possesses an Aadhaar card and if it linked with the various services, including mobile number and bank accounts. “I have an Aadhaar card, but I must confess that for the past 18 years I have been heavily dependent on my private secretary, so I cannot say as to what extent it has been linked. Maybe next month, I will be in a position to answer that question”, he quipped.